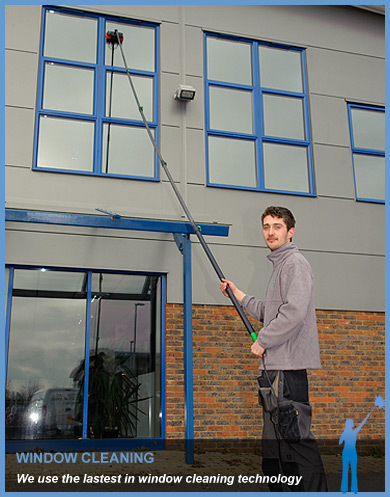 South West Specialist Cleaning Ltd, based in Beaminster, Dorset offer a professional window cleaning service utilising the very latest in window cleaning technology. Our fully trained professionals use the latest pure water fed pole system which enables them to clean previously inaccessible windows. Using the FaceLift ONE pole system virtually any window is accessible (up to 75ft) and because there is no need for ladders or scaffolding, the job can be completed with the minimal fuss and time. We always tailor our services to suit our clients. We are delighted to offer a regular service but are also happy to provide one off services too. Stevies Window Cleaning Services are available throughout West Dorset([Bridport, Beaminster, Lyme Regis, Dorchester, Weymouth, Portland) East Somerset (Crewkerne, Yeovil, Chard), East Devon (Seaton, Axminster, Honiton) for both domestic and commercial clients. As well as window cleaning, we offer gutter cleaning, carpet cleaning and full commercial and domestic cleaning services.